Every company has its unique characteristics and its security must be based on good planning and thorough inspection of the premises. Office locksmith is demanding because it must include many factors like the number of visitors and employees, whether there are valuables or easy access. 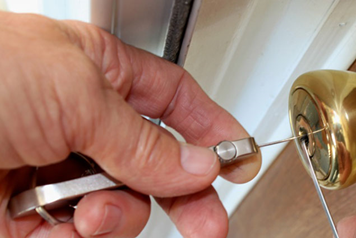 The professional teams of Commercial Locksmith Calgary have experience with large working places and the expertise to install any lock system or upgrade the current one. Broken office keys may cause terrible headaches to entrepreneurs in Calgary since they can be locked out or have a problem with the security of the premises. The good news is that our company is incredibly fast and can replace or retrieve keys from locks and fix any lock problem soon after your call. We offer 24 hour services and our technicians are experts in commercial lock change while they can suggest improved methods to shield your office, store or industry. Commercial lock rekey is extremely valuable in places with high human circulation, especially if you have problems with ex-employees or decide to limit down access to certain parts of the company to some employees. Today, there is abundance in locks and solutions and our company will find the most suitable one for your own business. 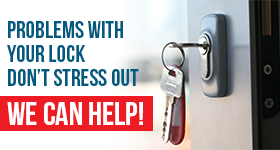 We come fully prepared to handle any emergency problem having our trucks organized and well-equipped and we can assure you that commercial lock repair on a regular basis will keep both people and valuables secure. Our Commercial Locksmith in Calgary can guarantee spectacular changes to the level of security for every business in Alberta and you can be sure of the credibility and excellence of all technicians. We provide consultation and we can protect you from problems, which may threaten the stability and thriving of your company. We are available, quick and efficient whether you need us to fix the commercial door closer or to change certain locks.